I’m devoting this space for a few days not to a walk in the woods or a paddle across the water, but as an alert to some great news: I’d written a couple times about the plans to restore the old Cracker style cabin once owned by the Archie Carr family up near the Ocala National Forest. 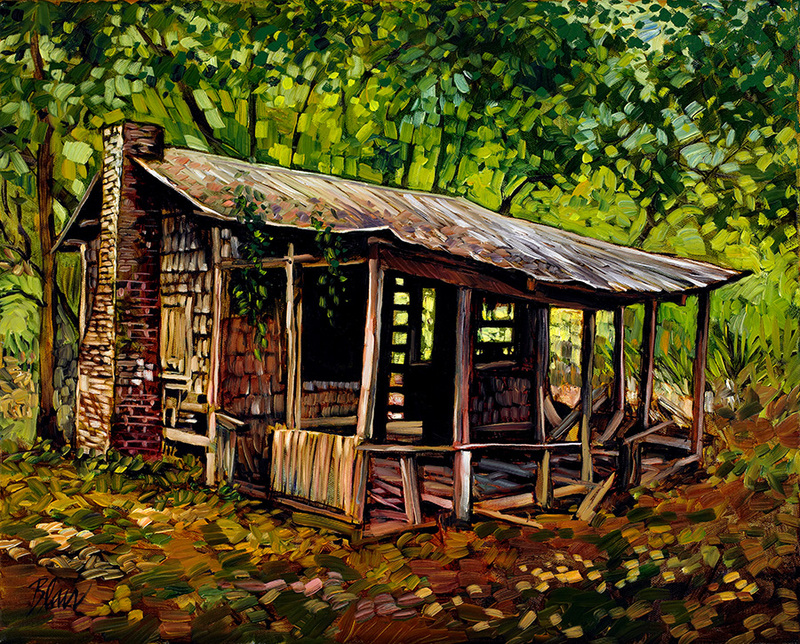 The dilapidated cabin is on 46 acres of land that Archie’s surviving brother, Dr. Tom Carr, donated to the U.S.F.S. to become part of the National Forest. 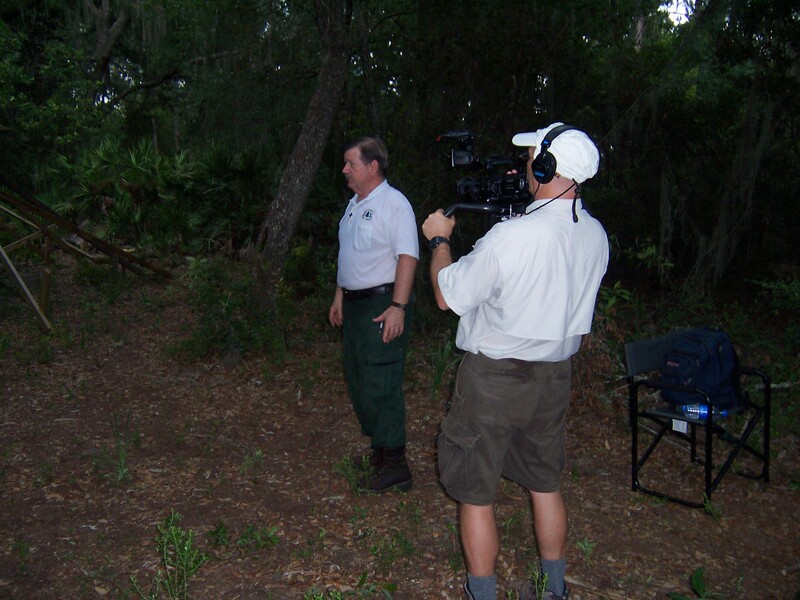 When archaeologist Dr. Ray Willis first told me about the cabin— and the urgent need for a proper restoration last year—I responded by suggesting our non-profit, Equinox Documentaries, Inc., actually produce a short film about the cabin. My partner in Equinox, Bob Giguere, and I then traveled up to the cabin in the woods on Lake Nicotoon outside Umatilla. There, I chatted with several members of the Carr family, including Dr. Tommy Carr, about how the cabin had been used by three generations of the family after the cabin was built in 1938. Bob filmed it all, and I later scripted a 12 minute short documentary. We needed a narrator, and I could think of no one better than Mimi Carr, Archie’s daughter. Mimi, who is an actress, graciously agreed, and the film was born. A fund raiser was subsequently held at Doe Lake, a restored WPA recreation center in the Forest, and the “Friends of the Carr Cabin” begin to collect donations. 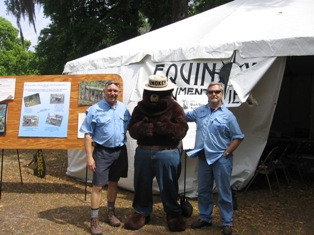 Bob and I also shared the film with others at the annual Black Bear Festival. And we met Smokey the Bear, who seems to have aged very well over the years. A local carpenter familiar with the particular vernacular building techniques needed to faithfully rebuild the cabin then begin work on the structure. The ultimate goal is not just to restore the cabin, but also to create a nearby nature trail, with signage explaining it all. The fact the cabin is being restored at all is a great testament to the vision and informed tenancity of Dr. Willis. As much anyone, Ray fully understood the significance of celebrating the work of the Carrs. They were not just our own home-grown conservationists and scientists and writers, they were very courageous folks who stepped out from the pack to share their own caring with the rest of us. Today, in an era where folks are more likely to duck and cover than to stand up for an ethic, this is a story that particularly needs to be told. Earlier “Florida Nature” posts about the cabin and plans for it are: “Why You Should Care About a Little Cabin in the Woods”, and “Doe Lake: Sorting the Real from the Make-Believe.” If you’re in the area, stop by and say hi on Saturday. If you’re not, pick up a copy of “Windward Road” or “A Naturalist in Florida” to remind yourself of why we all should care. It goes far beyond empirical arguments, and the economic values of nature. Grand, Bill! Can’t wait to see the documentary. I truly treasure my book of Archie Carr’s essays. And by the way, last weeked I purchased “In Marjorie’s Wake” at Maya books and experienced a childlike delight while viewing it, so much that I watched it a second time. You guys did a first rate, highly professional job. Bravo. Ever think of doing a documentary on E.J. Watson and the 10,000 islands? I’m currently reading Peter Matthiessen’s “Shadow Country” for the second time, a distillation of the Watson trilogy. An epic masterpiece, in my own humble opinion. dear sir, After reading your story about the cabin in the woods I was inspired to work my story. My father also builted a cabin on lake winn nott in melrose florida in 1938. He took down some of the trees to build the cabin. What fun I had growing up on the lake. My father also builted two boats. Thanks for telling the story. Thanks, Sean. Am glad you enjoyed “In Marjorie’s Wake”. There’s some more about it on our film website, EquinoxDocumentaries.org It was really a neat movie to research and to make. I agree that ol’ Ed Watson would make a great film, but probably more powerful as a feature than a documentary. I so enjoy the way Matthieesen made Ed into a far more complex man than allowed by local myth. You know, to some degree, Matthiessen’s deserved success as a reporter and essayist had probably led to his fiction being slightly undervalued or even overlooked until he won the National Book Award with Shadow Country. In a way I think he paid homage to William Faulkner’s Absalom, Absalom! with Watson. There’s a definite kinship between Watson and Thomas Stupen. One tried to ruthlessly build his empire in the Everglades, the other tried to wrest a mansion out of the muddy Mississippi wilderness. Same characters, same themes. I appreciate your comments on PM, Sean. Not sure if his fiction has been undervalued—after all ‘At Play in the Fields etc’ was a NBA fiction finalist a while ago. I figure the guy challenges his readers; certainly, he can get away with telling a good story with a lot less effort. With all the formula stuff being passed off as serious writing these days, I really admire the guy for that a great deal. I also appreciate that Ed W. has a vague but working relationship with the real life Henry Flagler. Two socio-paths, except one who insulated himself with his wealth.